This site is mainly for my hobbies and interests, namely music, acting, photography, art, and collecting. It's also the anchor for a constellation of sites I've created over the years, some no longer updated that much. Soledad Miranda: Sublime is about the late Spanish actress who appeared in many films in the 1960s. Her remarkable beauty and her tragic untimely death make her story the stuff of legend. (This one is updated constantly and will be for as long as I live!) 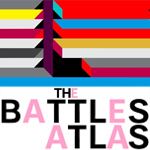 The Battles Atlas, my newest site and also continually updated, is the first fansite devoted to the fantastic band Battles. 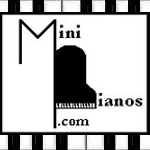 MiniPianos.com is an online virtual museum of all sorts of miniature pianos, from collectibles and figurines to toy pianos and other unique piano-shaped items. 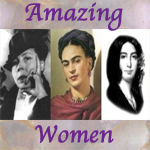 Amazing Women is about the brilliance, talent, and passion of some female artists, writers, actors, and musicians, and the power of all women to be amazing. Featured women include George Sand, Djuna Barnes, Frida Kahlo, and Tori Amos. Check for major updates with the Soledad Miranda and the Battles websites. I went to Spain to be in a documentary about Soledad Miranda, which just premiered at the Sitges Film Fesitval in Spain! And I'm writing a book about her. And Battles has released a new album to great acclaim; I interviewed them! It's not that I haven't updated the site at all, I mean I have added photos from time to time. But I usually focus on my Instagram and Twitter and Lomography pages, so I forget about this blog. But here we go again! Look for updates, and lots more photos with my new cameras. I used to have a cluttered website that I made myself. Cluttered with too much information that was too hard to keep updated once I got busy. I wanted to put everything on there, but never got around to it. But I realized that I could make it simpler and non-cluttered (manageable for me) and still give information that netpeople might like to know, with select photos. There are much fancier websites out there. But I didn't want to hire somebody to make a fancy website for me in a language I could not write and would never have the patience to learn. (I write my own websites in HTML.) This should become more apparent in time, but this homepage is like a blog so the new stuff is toward the top. 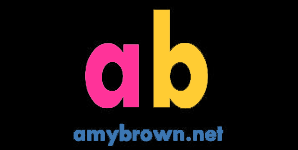 I made this website myself and hereby assert my intellectual right to whatever I write on here. Dated 2012-2015 by Amy Brown.